Much of British Columbia, a whopping 75 per cent is made up of mountainous ranges and communities of people that live a bit differently from the rest of the populous. This Mountain Life features the lives of those figures, from alpine snow artists to sisters of the Queen of Peace in Squamish and a mother-daughter duo hiking the Coastal Mountains from Vancouver to Alaska, which has only been completed once before and never by a woman, let alone two. Through breathtaking cinematography straight out of a B.C. 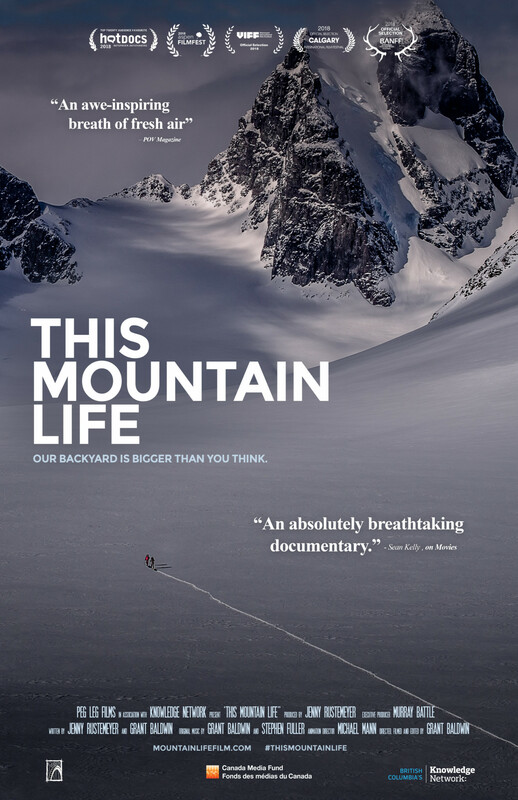 travel video, director, cinematographer and editor Grant Baldwin and Producer Jenny Rustemeyer share the stories of eleven people living and thriving in the mountains of British Columbia that will inspire anyone to get out and see more of this majestic province so many of us call home. It’s hard not to feel immense pride for this province and those that live here watching this film!